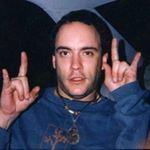 🎵Epic photos of The Dave Matthews Band. Perfect for reaching a live music audience. Not affiliated with Dave Matthews Band. Demographic data for @davematthewsbnd's audience is available for free to influence.co users.